The past few elections -- city, state, and federal -- conducted in New York City have repeatedly shown instances of failure on the part of the New York City Board of Elections, an entity whose name belies the fact that it is a state-created agency charged with administering several elections each year. City BOE Executive Director Michael Ryan -- who is hired by the board’s ten commissioners and reports to them -- suggested on Tuesday, in a brief video posted to Twitter by NY1 reporter Lindsey Christ, that the cause of the latest debacle was a combination of higher turnout, an unwieldy two-page ballot (owing to three ballot questions on the back) and wet ballots because of voters coming in from rainy weather. The BOE’s problems, long recognized by government reformers, some elected officials, and of course voters, came urgently to the forefront after the 2016 presidential primary, in which more than 117,000 voters were improperly purged from the rolls in Brooklyn, the city’s most populated borough. The purge, originally reported by WNYC, led to a federal lawsuit against the BOE, which later opted for a settlement in which it admitted that it broke the law. But while the settlement prompted improvements to voter roll management, the BOE’s inability to smoothly run elections has stretched far beyond that one area or even the last few years. “I think there’s many different problems at many different levels that lead to a day like this,” said Alex Camarda, senior policy advisor at Reinvent Albany, a government reform group. 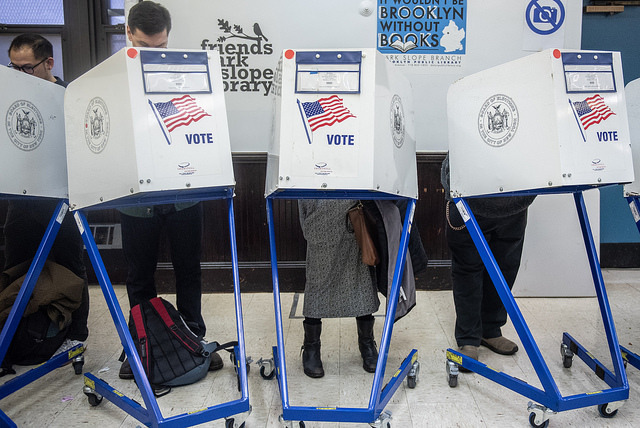 So why is the New York City Board of Elections so dysfunctional? 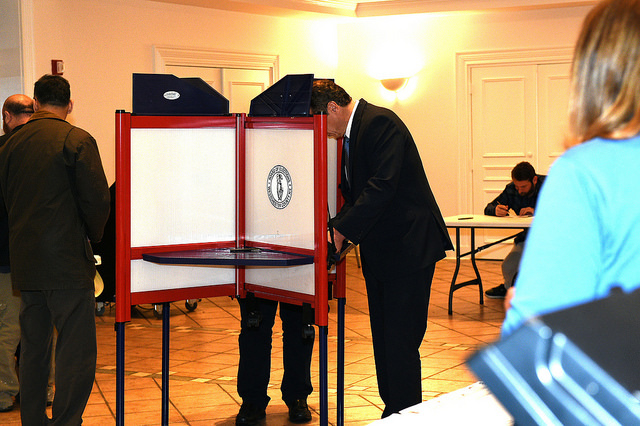 What is standing in the way of New Yorkers and easy voting experiences? Part of the reason for the BOE’s continued failures is the agency’s structure itself. 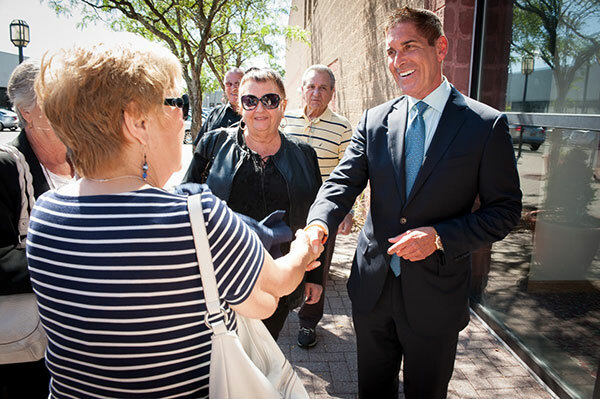 Though the agency is funded by the city, and the City Council conducts regular oversight of its function after each election, it is a creation of the state. 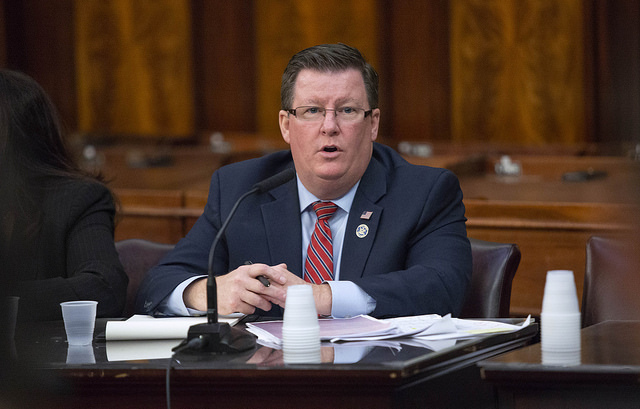 Its commissioners are chosen by county party committees according to state law -- by the top two vote-getting political parties in the five boroughs, which, for all intents and purposes, means Democrats and Republicans. Each party selects one commissioner from each borough who is then confirmed by the City Council to make up the ten-member board, which decides on everything from election management procedures to candidates’ inclusion on the ballot. The entire process is rife with patronage, with not only the commissioners, but most of the BOE’s staff employees appointed by county chairs along party lines. The board has been resistant to efforts by the city to professionalize its ranks, pushing back against City Council legislation that would require appointments akin to civil service jobs. Broadly speaking, criticism of the board boils down to the belief that it is more concerned about keeping the county party leaders happy than it is about delivering good service to voters, and that it is not necessarily well-prepared to deliver top-notch service even if that was the main focus. Immediately following the 2016 election snafu, Mayor Bill de Blasio even offered the BOE an additional $20 million to implement reforms including hiring an outside consultant and creating a blue ribbon panel to conduct a top-to-bottom review of systemic issues, providing more transparency in hiring, and new methods of communication with voters. The BOE, however, refused the offer. Johnson said the reasons Ryan gave in the video on Twitter, including the rainy weather and higher turnout, were “predictable” factors. 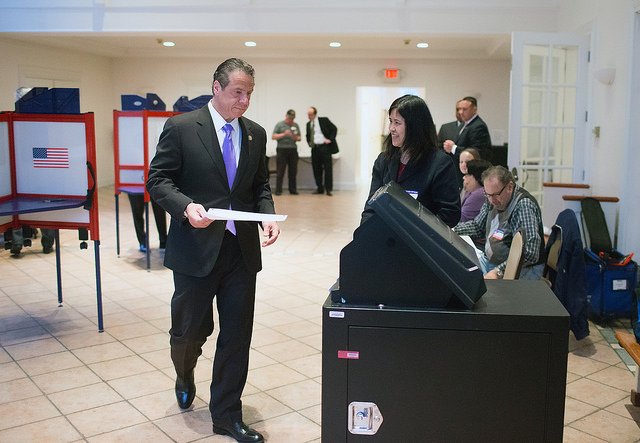 “Those aren’t valid reasons to have hundreds of machines breaking down...That did not give me confidence in him understanding the depth of anger that New Yorkers felt at the polls,” he said. 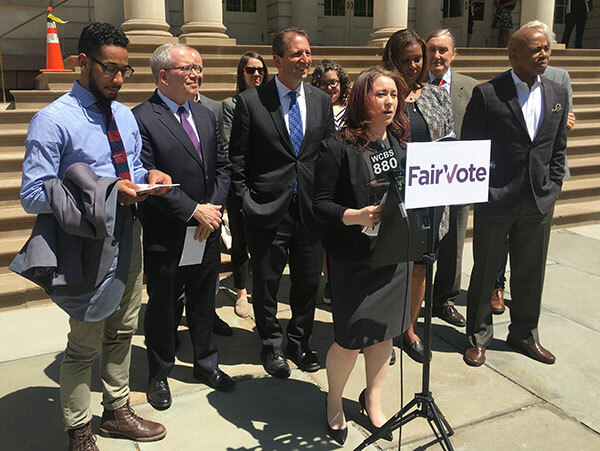 New York employs what good government groups call “passive voter suppression” with election and voting laws that tend to discourage turnout. The state is one of 13 that does not have early voting, which means that the nearly 13 million registered voters across the state must cast their ballots in a 15-hour period on the day of the general election (During the September primary, poll sites were only open for nine hours in 49 out of 62 counties). Besides depressing turnout, the lack of early voting also forces the BOE to resolve issues as they arise at the ballot box on election day rather than be able to preempt them. The state has also failed to pass common-sense voting reforms such as no-excuse absentee ballots, mail-in ballots, electronic poll books or consolidating primary election dates. Case in point, New York held two primaries this year, one in June for congressional seats and the second in September for state candidates. In terms of voting, the state also does not allow same-day voter registration and has one of the longest deadlines for switching party registration. 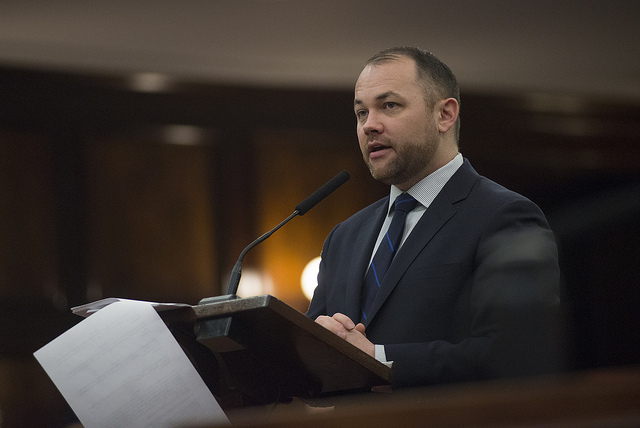 The Democrat-led State Assembly has repeatedly passed many of those reforms and Democratic leaders, including Governor Andrew Cuomo, have blamed Republicans who control the State Senate for blocking them in turn. Though Cuomo has often said he supports that broad reform platform, he has put little capital behind it and has been promising this year to advance them if the Democrats flip control of the Senate, which they did on Election Day. Senate Democratic leaders have listed voting and election reform as a top priority for early 2019. 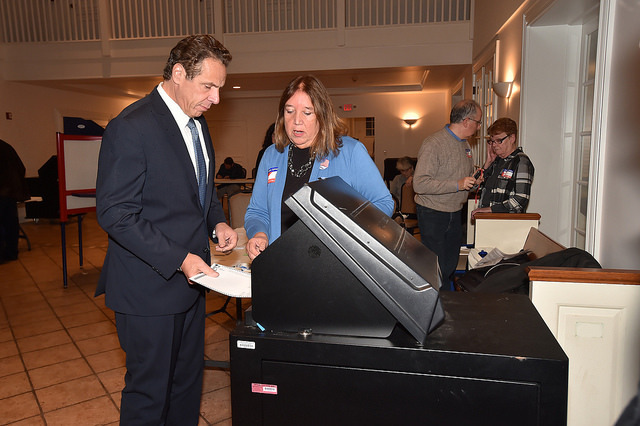 Though there have been efforts in the Assembly to provide raises to poll workers, who are volunteers, and reduce the long shifts that they are required to serve, most workers continue to be underpaid and overworked. Poll worker training is also seen is inadequate and often causes some of the issues seen on election day, contributing to long lines, confusion, and frustration. The mayor’s funding offer would have required the BOE to provide a plan to improve both poll worker pay and training, including bonuses for those who volunteered at multiple elections in a year. Electronic poll books may also aid efforts to run elections more quickly and smoothly, they are on the list of potential reforms. Close to 160,000 New Yorkers registered with the Democratic Party in the last seven months, according to the latest enrollment numbers released by the State Board of Elections on Thursday, compared with just over 22,000 voters who joined the Republican Party and close to 113,000 who registered but did not pick a party affiliation. In total, there were 12.7 million registered voters across the state, an increase of about 300,000 since April. The numbers were released, as they typically are on November 1, just a few days before New Yorkers head to the polls on Tuesday to cast ballots for governor and other statewide positions, as well as members of the state Legislature and U.S. House of Representatives, among other seats. Democrats are hoping to keep control of all the statewide positions on the ballot as well as the state Assembly, while flipping control of the state Senate and enough House seats to contribute to a takeover of that chamber nationally. Democrats have long maintained an overwhelming registration advantage in the state and that has only been growing in recent years, likely in part in response to the Trump presidency and the Republican-led Congress. Prior to going to the polls in November 2016, there were 6.18 million registered Democratic voters statewide. They have grown to 6.36 million, of which 5.78 million are active registered voters and 579,000 inactive voters. Republicans have not fared as well. There were 2.84 million voters registered with the party in November 2016, increasing by only about 6,000 more voters in the latest numbers. Of those, 2.63 million were active voters while 212,000 were inactive. Unaffiliated voters, commonly referred to as “independents,” numbered 2.72 million two years ago and have increased to 2.75 million, with 2.48 million active voters and 270,000 inactive ones. Most of the minor parties did not see drastic change over the last four years. The Independence Party did add about 10,000 new voters to its base, reaching total of just above 491,000, and notably the Green Party added nearly 6,000 new members to its small base, reaching slightly over the 31,000 mark. Voter turnout also surged in primary elections this year -- there was a congressional primary in June and the state primary in September -- with several competitive Democratic races but few Republican ones. 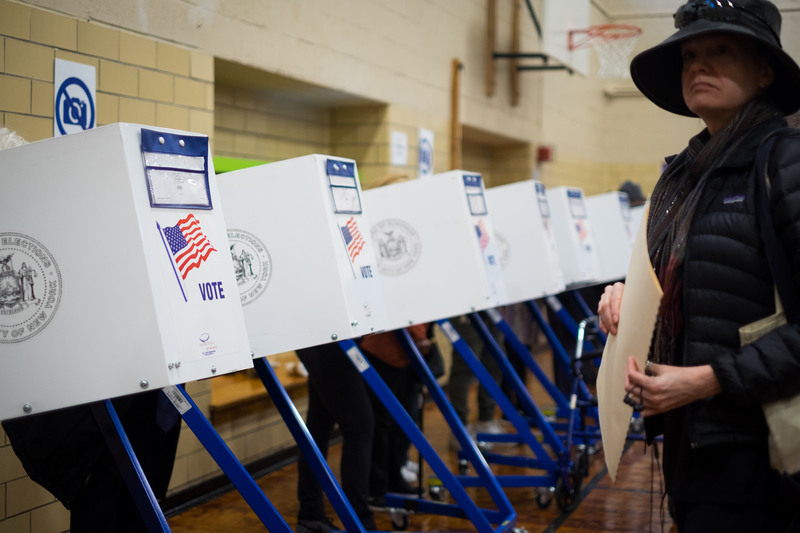 New York has more often than not seen low turnout at the polls, a trend that most expect will change this year particularly as Democrats are turning out in increasing numbers amid a nationwide “blue wave,” the electoral impact of which is yet to be seen in full, with November 6 set to show its actual impact. In the four years since the last statewide election, voter enrollment increased by almost 900,000, including nearly 520,000 new Democrats, about 73,000 new Republicans and more than 280,000 new unaffiliated voters.